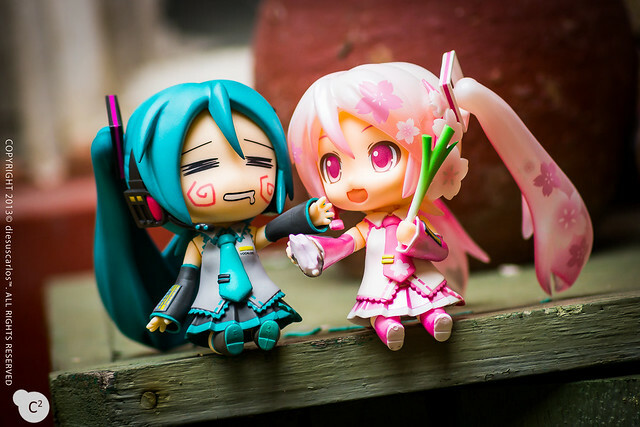 Ever wondered why you wanted to take that nap after eating lunch (…which Sakura Miku and Hachune Miku is doing)? That’s because you want to take a siesta – or an afternoon nap. Siesta is taken from the Latin word hora sexta or the sixth hour. If you count six hours from dawn it would be around the afternoon hence the sixth hour. In other countries like Italy, they actually close shops to make time for their siesta. This is a common practice for folks living in the tropical and sub-tropical countries which is what Philippines is. The urge to take a nap is due to us having the heaviest meal at lunch plus the relatively high temperature during the afternoon. So don’t say lazy (K-On??)…. Don’t say you’re lazy if you are feeling sleepy. It’s all good and healthy! Studies have shown that taking siestas reduces stress and heart problems by at least 30%! That’s big! So take that siesta if it allows like Sakura Miku here with Ikaros as her pillow. Most of the time, after taking that sweet siesta and some hour full of chores, Filipinos would be looking for something to eat – a merienda which is a light meal or snack. This is similar to the English tea time if we need comparisons. The snack would usually be sweet. Traditional Filipino meriendas would be rice cakes or kakanin like sapin-sapin, kutsinta, palitaw, biko, and the famous suman. Not sure what the benefits of taking a snack though but if you’re hungry, then eat! 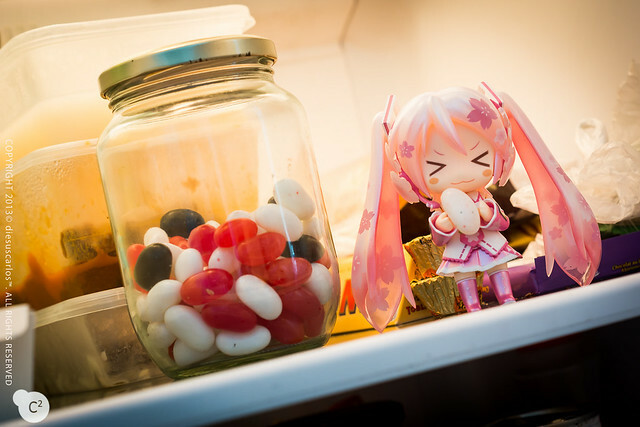 🙂 Sakura Miku surely adapted to the Filipino culture but she prefers the jellybean than the rice cakes inside the refrigerator. Posted in Figure/Doll Photos, NendoroidsTagged good smile company, hachune, hachune miku, ikaros, kawaii, miku, nendoroid, nendoroids, sakura, sakura miku, toy photographyBookmark the permalink.